4 reizigers hebben vandaag geboekt. Heeft u een vraag voor K&B Hostel? 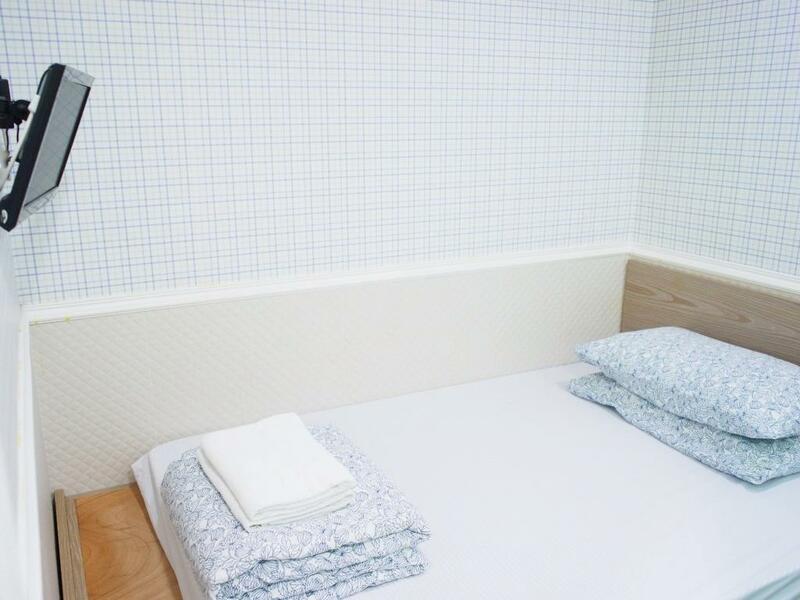 Voor reizigers die voor de bezienswaardigheden van Hong Kong komen, is K&B Hostel een perfecte keuze. Met haar locatie op 0.5 Km afstand van het stadscentrum en 32.7 Km van het vliegveld, trekt deze 1-sterren accommodatie jaarlijks vele reizigers aan. Dankzij de praktische ligging, biedt de accommodatie eenvoudig toegang tot alle belangrijke trekpleisters van de stad. Niets is te veel voor K&B Hostel om het haar gasten naar de zin te maken. Zo biedt deze accommodatie de beste services en voorzieningen. 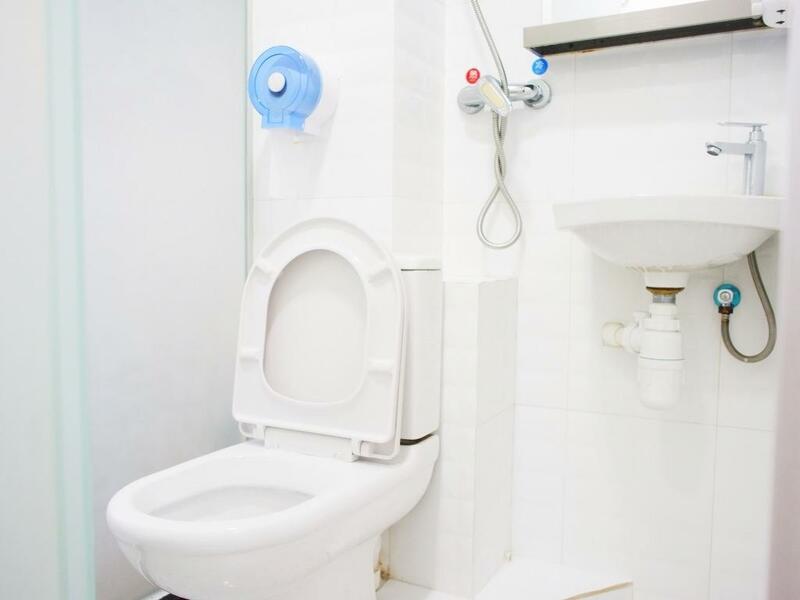 De accommodatie heeft een uitgebreid aanbod aan services, inclusief gratis wi-fi in alle kamers, dagelijkse schoonmaak, privé incheck/uitcheck, 24-uur receptie, snel in- en uitchecken. Het hotel biedt 11 prachtig ingerichte kamers voor gasten, velen zijn inclusief plasma tv, slippers, internet (draadloos), draadloos internet (gratis), rookvrije kamers. De accommodatie biedt talrijke recreatieve mogelijkheden, zodat u voldoende te doen heeft tijdens uw verblijf . Met een ideale locatie en bijpassende voorzieningen, is K&B Hostel voor veel gasten precies dát wat zij zoeken. Let op dat receptie dagelijks is geopend tot 22:00 uur, indien aankomst later is dan 22:00 uur die dan een verzoek in of neem contact op met het guest house direct na het maken van de reservering. Great staff. They waited for us. Great location, just in front of Jordan Station. The surroundings and building was old but the rooms are well maintained. Daily housekeeping and toiletries were provided. I was apprehensive about staying anywhere after reading the reviews about how the hostels are cramped in to spaces with unfriendly staff and bugs. I was glad to see that K&B was the opposite of this. I wish I had booked another night, but the night we were there, it was clean and quiet. It looks seedy from the downstairs entryway, but that seems to be the make up of Hong Kong. The room we were presented was perfect and we enjoyed it. I recommend this space. Pleasant experience staying at K&B Hostel. Staff is really helpful. Location is accessible to Jordan MTR, near Temple St and several popular eateries. Room is clean and housekeeping is done everyday. Overall a great experience staying at K&B Hostel. Will definitely consider staying here again when I visit HK the next time. Location! Cleanliness!! Helpful Counter Staff!!! Very satisfying and I would recommend it to all budget travellers in view of its extreme proximity to Jordan MTR Station exit B3 which is not even 100 yards away... Secondly the convenience shop (7-11 and Circle K) is just nearby and easy access to food, the Temple Street is just two streets away and nearby you could find the famous Australian Dairy Company!! and along that street, you can find soo much good restaurant there!! 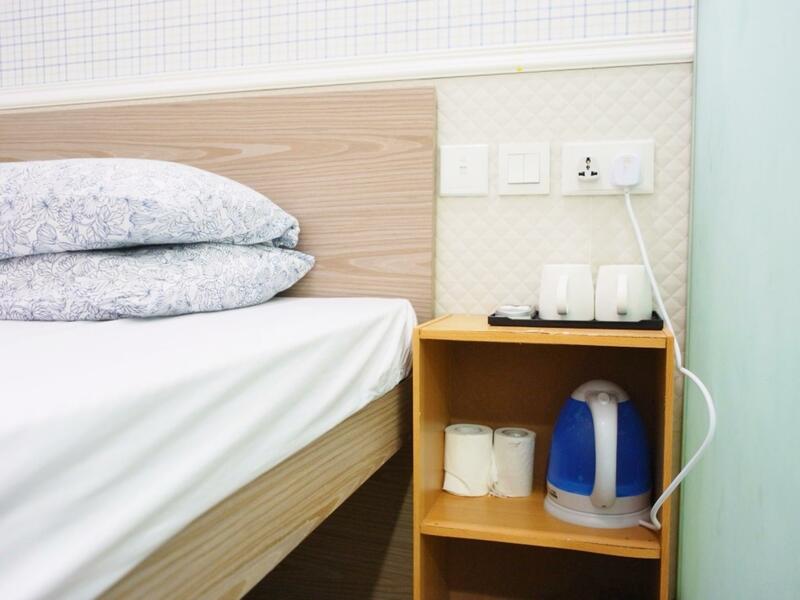 Very clean bedsheet and toilet and floor.. and flat-screen tv, air-con works well in the room, and you could expect room and toilet has been cleaned and clean towels placed neatly when you return to the hotel everyday! Good security as there is one guard at the table downstairs, and we can see him there everyday.. The location is really convenient just as my title suggested. The entrance of the building is just directly outside the mtr exit when you walk up the stairs or take the lift. Also, the room is new, well-maintained and clean. I wasn't expecting much for the price i paid but i was awe. the bed is a tad short, thus, not suitable for tall people. it is just right for girls. the staff were also friendly and helpful. they will greet and ask about you when u walk past the reception. it is walking distance to many food places and massage. the lift to the hostel floor does not have really long queue like chungking mansion. you could usually get in the first lift most of the times. located in jordan, near temple street, around the hotel there are shops that nearly fitted to most tourists : eatery, food and dining, dispensary, department store and supermarket (they sell instant ramen, tea, coffee etc) so if you are a budget tourists, travelling solo or with partners, i recommend this hotel. the manager (owner) and staff was friendly, (we even had a christmas parcel from the manager, given to our rooms). The only complaint was the size of the rooms .. but understandable, with its price and location. Hostel is good. Recommended! For your expectation the Building is not as new compare with other building but Hostel is clean,friendly staff and price is good also. 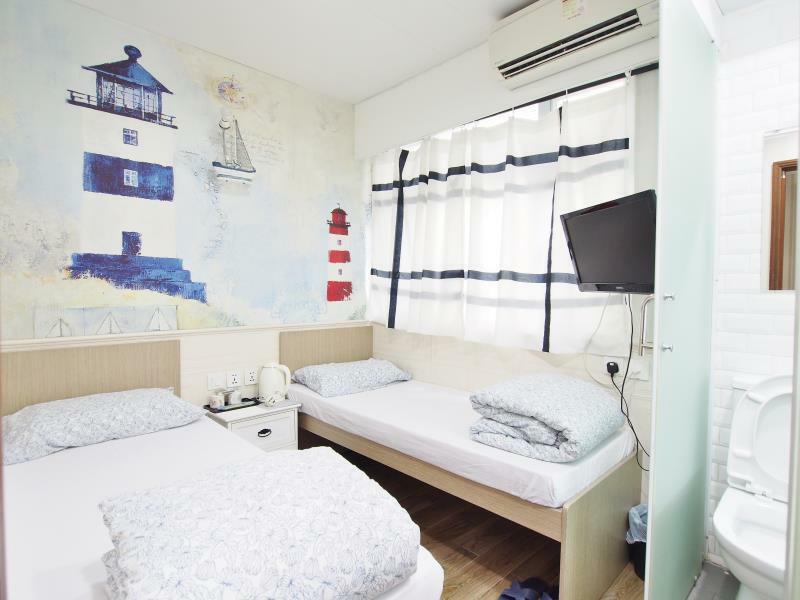 Good for backpackers or family (3-4members) near at MTR station if your going to disneyland. Buses and taxi available anytime. Very near to Temple Night Market that you can buy your foods and some stuff. Establishment near are 7eleven,Starbucks,bread-talk and many more. There are 2 K & B hostel inside the New Lucky House building first is the 3rd floor and the next one is the 13th floor. And for me 13th floor is great. I love the hallway inside. Cleanliness is okay. Jordan station is just infront of the building. Temple street just few minutes walk from the stay. Please improve the check in progress. Cleanliness acceptable might be hostel still new. Stayed in K&B hostel for 3 nights in a single room. the bed is big enough for two person but then it means there's no more space for opening up bigger luggage. staff are friendly. best thing is the location which is very important to me. the entrance of the building is just a few steps from exit B1 of Jordan MTR! many 24hrs eateries just across the street. I book for KB Hostel and when I reached, i think there is no rooms or for another reason, I was given a room at Spring Hostel (I think) at level 8. Probably they are partnering. The room was neat and clean, with a clean bathroom! Although the room was kinda small, it was enough for a solo traveler with a budget. Won't hesitate to choose KB again! Located near MTR station, some shopping and food places. Triple single room is relatively spaced out. There is also daily housekeeping. Staff delivers room service when prompted. Just need to smile more. :) WiFi and toilet cleanliness can be improved too.